Aus vs SL 2nd Test Live Scores : Check out Aus vs SL 2nd Test Scorecard of the 2nd Test of Sri Lanka Tour of Australia 2019. 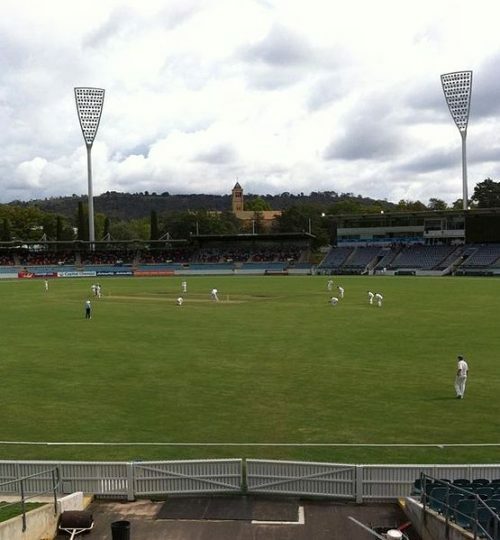 Aus vs SL 2nd Test Scorecard | Aus vs SL 2nd Test at Canberra 2019. Photo courtesy of NimbusWeb/Wikipedia.org. For more coverage of Sri Lanka Tour of Australia 2019, including the Aus vs SL 2nd Test Live Scores, Aus vs SL 2nd Test highlights and the Aus vs SL 2nd Test Scorecard, keep following CricketHerald.com.